Home › Home and Kitchen › Zum Bar Goat's Milk Soap Zum Bundle -- 9 Oz 9 Oz. 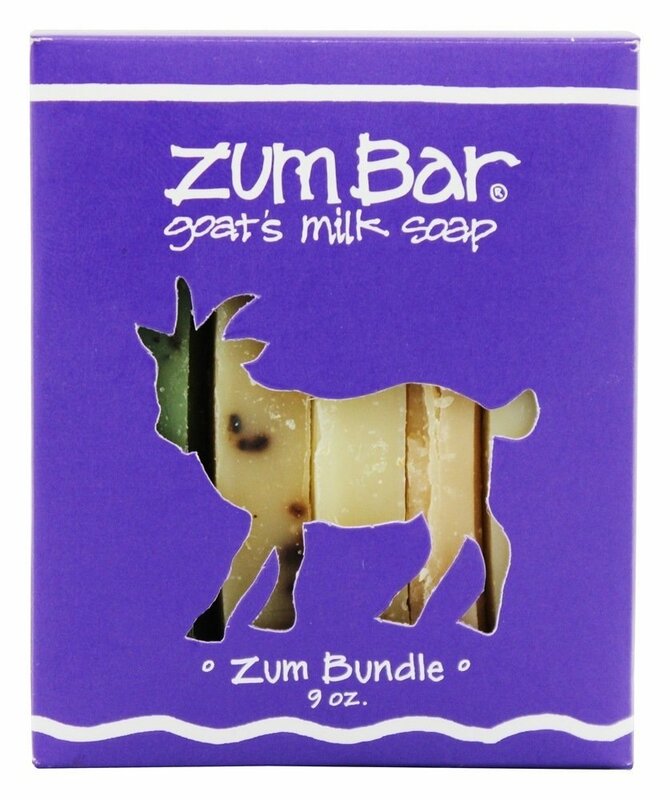 Zum Bar Goat's Milk Soap Zum Bundle -- 9 Oz 9 Oz. Size:9 oz. Why Goat's Milk?Because our milky way is the silkiest way.Soothing, soft and oh so moisturizing, goat's milk boasts a pH so naturallyclose to your skin that it's gentle enough for the most sensitive bodies.Behold the Zum Bundle!Savior of the indecisive, ally of the combination loverand the perfect lil' zumthin' for the Zum virgin in your life. The Zum Bundlegives you a smorgasbord of smell so you can really have it all. It's theamazing Technicolor dream goat! Equivalent to three Zum Bars. Pure EssentialOilsThe only scents that make sense are natural ones. That's why we use pureessential oils in all of the soaps. Zum Bars take the therapeutic elements ofessential oils beyond the shower so you can feel as good as you smell.